A practical double-ended crochet hook, useful for Tunisian crochet. They are made in sizes 2 mm to 6 mm, and are 15 cm long. 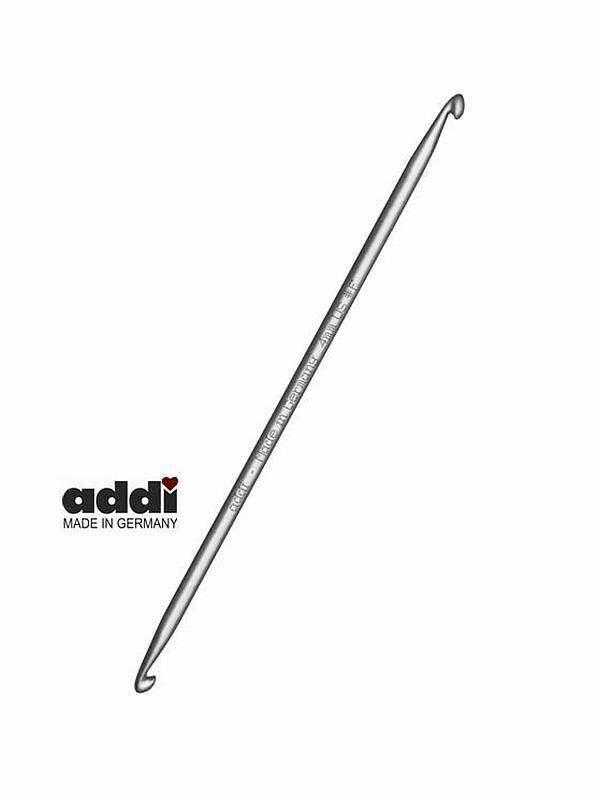 Premium quality, as you would expect from ADDI, 'Made in Germany'.